Yuketen dress moccasin footwear are genuine handsewn by highly skilled and experienced leather artisans who take great pride and fulfillment in their work. These shoes are handmade in U.S.A. with the flesh side of full-grain leather tanned in U.S.A. Yuketen’s flesh-out leather is NOT suede because we retain the quality grain side of the leather for thickness, strength, and long-term durability. The replaceable Vibram Ripple Soles absorb impact because the ripple tread pattern flexes as weight is applied. Vibram’s Ripple Sole is inspired by the original ripple sole design by Nathan Hack who invented his ripple sole for U.S. paratroopers in the 1950’s. Ripple soles perform best on hard and flat surfaces due to their exceptional impact-absorbing design. 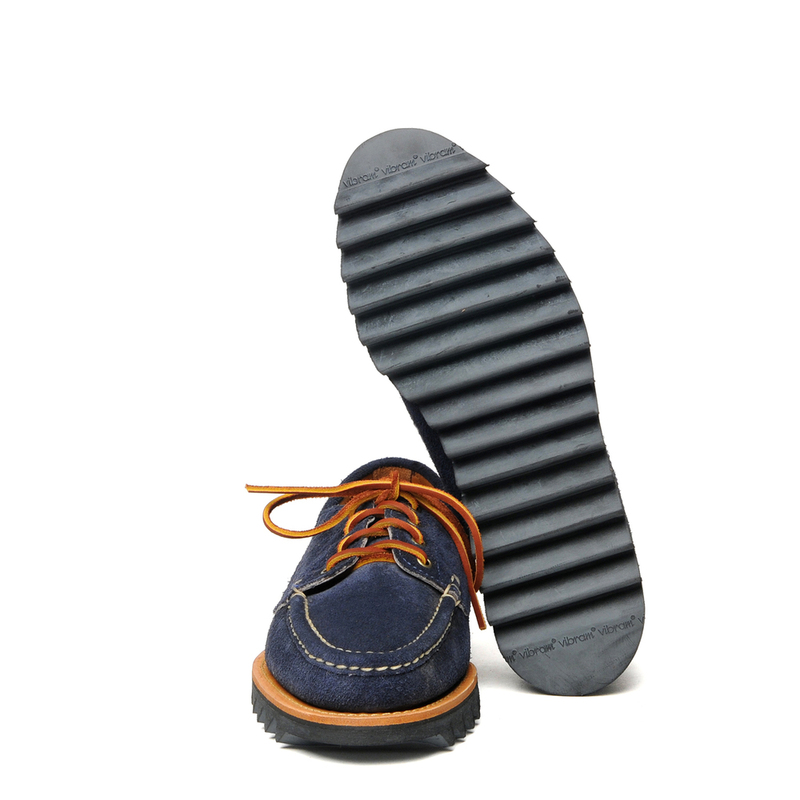 Yuketen’s full-leather 100% vegetable tanned insole offers unparalleled comfort that conforms to the wearer’s foot. The English Ranger style features the “English Moc-stitch” handsewing technique in which the handsewn leather seam is covered and therefore is blind-stitched. This challenging handsewing technique is reserved for the best handsewers in the world. Yuketen’s English Ranger with Ripple Sole style uniquely merges the distinctive appearance of elegant moccasin construction with masculine definitions from Vibram Ripple Soles to create a fresh concept with bold attitude.